After his owner died, the landlord threw out Tom. After surviving on the streets for almost 4 years, he was rescued in a park/forest preserve with several of his friends and children. 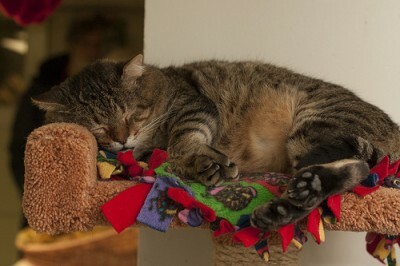 When he was rescued, he was starving. After extensive dental surgery, Tom is back on his feet. 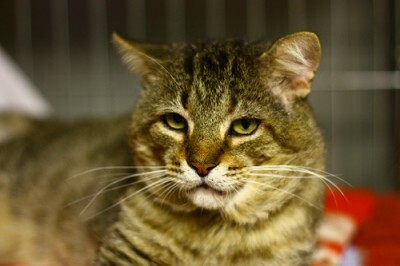 Tom is incredibly sweet, gives head butts and gets along well with female cats. Update 2013-07-23: Tom is a lucky boy, and was adopted!